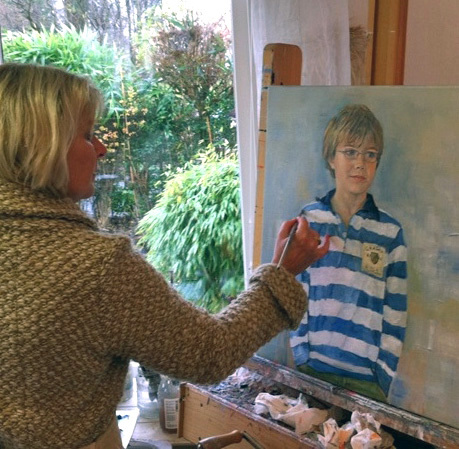 My studio is in Leiden where I work daily on commissioned portraits and free work. Oil paint is my favourite medium and recently I started to use wax as medium as well. This is a new product from America which you can blend with oil paint and which produces beautiful layered paintings. 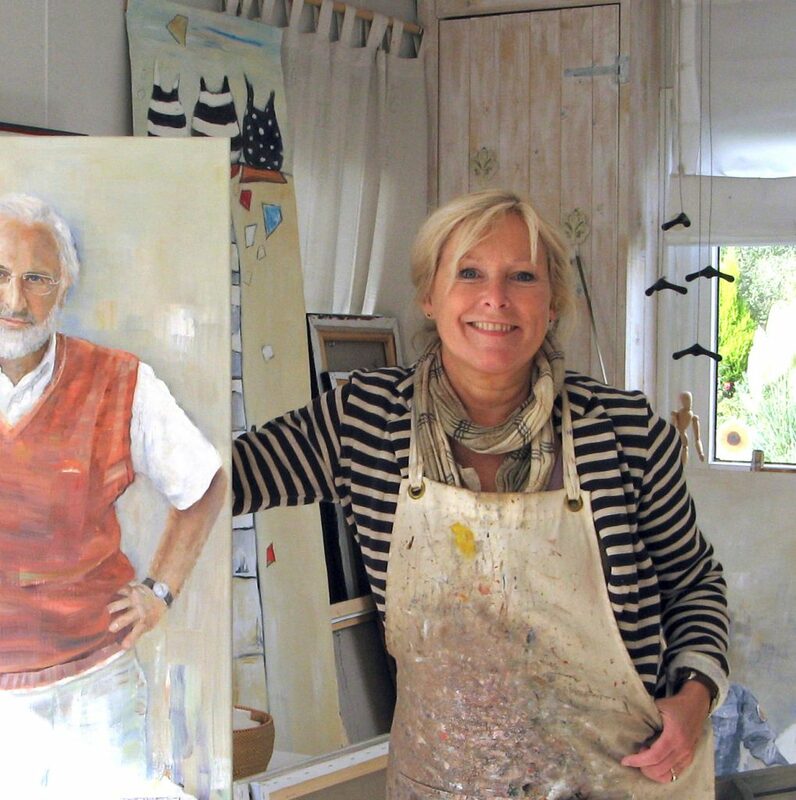 I paint the portraits with much pleasure, I feel a close tie to the person I paint and that makes it so interesting. I feel a portrait needs to show the person, not a moment in time. It has to surpass a photo and be a unique and personal portrait. Apart from showing character and a resemblance I also strive for an interesting painting, well painted and good to look at. For more information about the procedure, contact me. In the free work I seek more to experiment. I strive for effective, layered paintings, canvasses that continue to fascinate. I usually work in themes, currently paintings showing women and girls. Not as persons but as atmosphere and impression. The intention is that the viewer thinks of his / her own story. Our Dutch idiosyncrasies return regularly – the beach, the bike, our dogs (in a bag, or not). La Table, Lifestyle Fair in Naarden Vesting. 9 – 12 november 2017. The Art Route Leiden, 23 and 24 Sept. 2017. Location, Langebrug 32a. Both days 12 – 18 hours. September 2008, Invitee d’Honeur de Peintres de Grimaud (St. Tropez, France). Group exhibition of seven Dutch artists. Netherlands Royal Air Force, triptych in oil, group portrait of the last group of HSV, The Last Supper, total width 310 cm. BDO Camps Obers, group project. Several custom made pieces from reception to meeting rooms.